When a new cuisine makes an entry into Mumbai, the mecca for foodies, the excitement is palpable. Naturally. There was a bounce in my step as I made my way to Asado, Mumbai’s newest and only Latin American fine dining restaurant for a preview. I felt lucky and privileged. A 65-seater venue spread over 1500 square feet, including both indoor and outdoor dining, Asado’s chic and vibrant ambience bowled me over completely. The décor has been modelled to resemble the streets of Latin America and the cuisine is meant to be an authentic reflection of the region. It is obviously completely in keeping with its name. After all ‘Asado’ is a term used for a range of barbeque techniques or the social event of having to attend a barbecue in Argentina. The bright and cheerful service staff got us seated and ensured we were comfortable. Impressive beginning. One look at the menu and we could see an array of modern European and Cantonese dishes. And of course there were authentic Latin American cocktails like Mate and Caipirinha and a mind boggling selection of over twenty different kinds of tequilas. Trimaan Singh Chandock, Director of Concept Development informed us that the concept of the cuisine at Asado centres around the latest contemporary cooking techniques of ‘Sous Vide’ and ‘Lava Stone Grill’, which will be experienced for the first time in Mumbai. Well, one has experienced that in Five star hotels before, but for a standalone, a first, yes. The Quinoa salad, we began with was a treat. Generous portion and fresh, good quality ingredients further enhanced the experience. The creamy cauliflower soup with gorgonzola was of the right texture. The cheesy flavours were subtle and not overpowering and meshed well with the cauliflower. Full marks to the chef here. Teased our taste buds sufficiently. 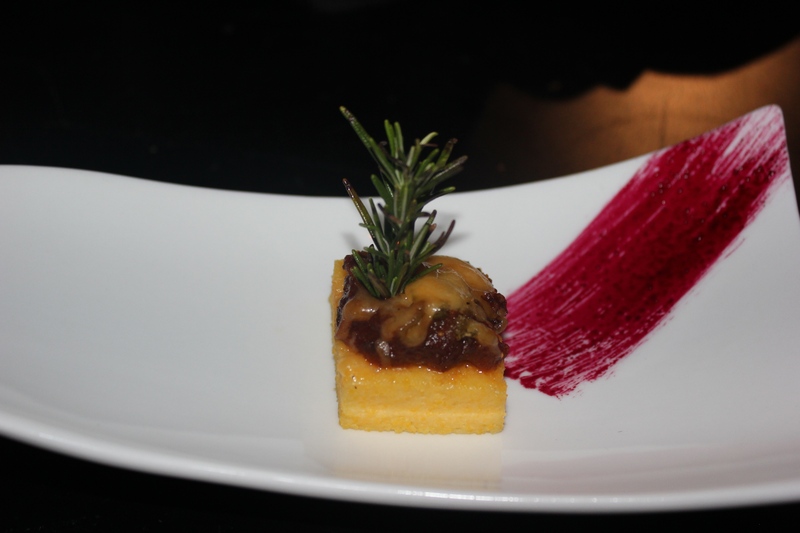 But what mesmerized my taste buds was the Baked parmesan polenta with chipotle fig relish. It was an absolute treat. 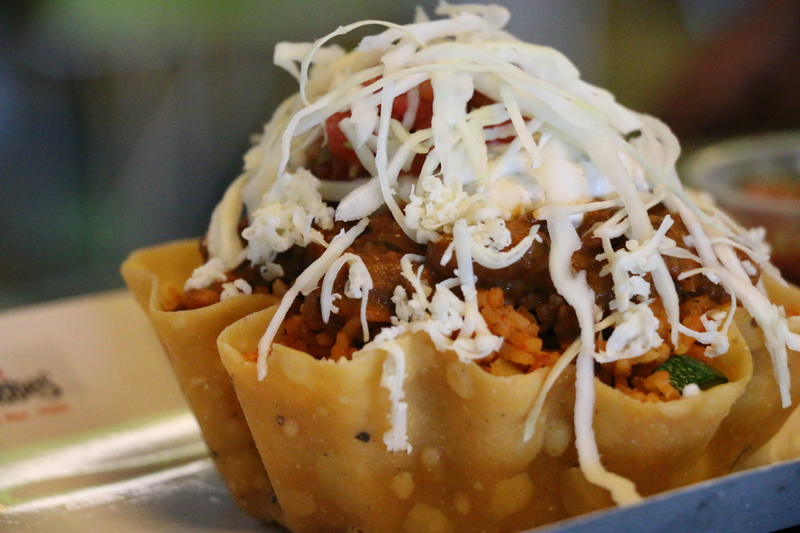 A world class dish, made to perfection. Asado’s menu reads like a foodie’s delight. It has something for everyone -Lava Stone Grill, classic Grills, or Latin Sizzlers to name a few. Prawns, Cheese Jalapenos & Dates, Braised Filllet of Turbot Scallop and Garlic Herb Marinated Shrimp Skewer are some of the sure-shot highlights. The tipple lovers can enjoy international and domestic alcohol along with some exotic wines. The Katafi pastry prawns, which I absolutely relish, met with my expectations. 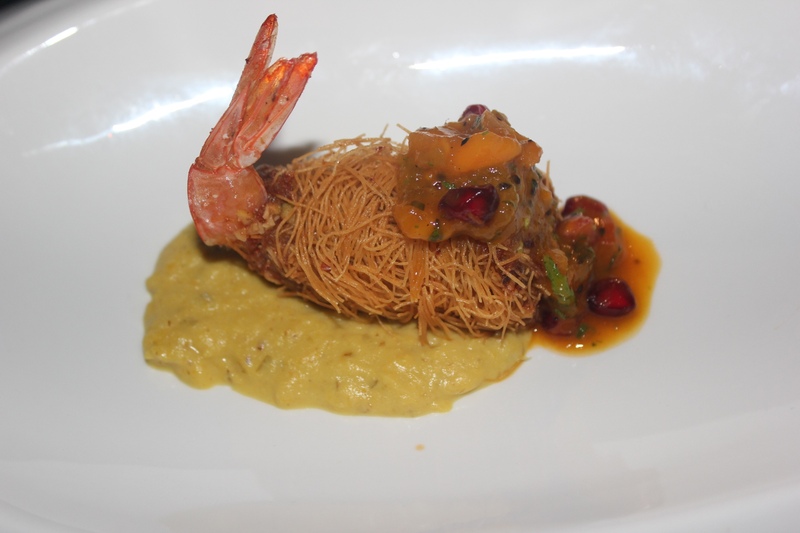 The pastry was crisp and the prawn filling, soft and succulent, juxtaposing the two contrasting textures perfectly. The enchiladas were nothing to write home about. Just when I thought I had savoured the best, the Edamame & truffle risotto took me by surprise. One of the best I have ever tasted. Too much of good food in one evening. The Tresleches was the grand finale. Sweet, but not cloyingly so, creamy and an apt option to round off the exotic meal at Asado. While the portions, quality, taste and variety of the food is undoubtedly unquestionable, I am a wee bit sceptical about the price. Much as Mumbaikars are food lovers, connoisseurs and ready to pay for a good meal, they do seek value for money. A meal at Asado is definitely going to burn a hole in their wallet. Result: It might become a once in a while dining experience on a special occasion. Maybe Trimaan needs to take stock of that?